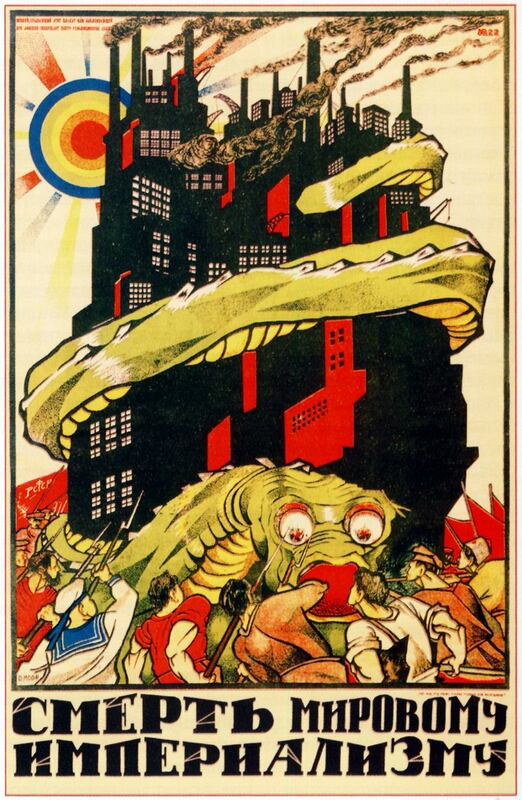 In 1913, on the wave of the general rise of the Russian economy, the rapid growth of the cinematographic industry began in the Russian Empire. In 1913, according to incomplete data, there were 1,412 movie theaters in the country, of which 134 – in St. Petersburg and 67 – in Moscow. The heyday of the artistic Russian cinematography occurred during the First World War. 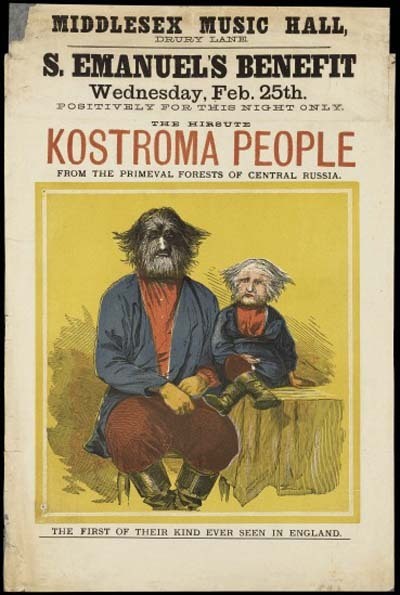 In 1916, at least 150 million tickets to movie theaters were sold in the Russian Empire. 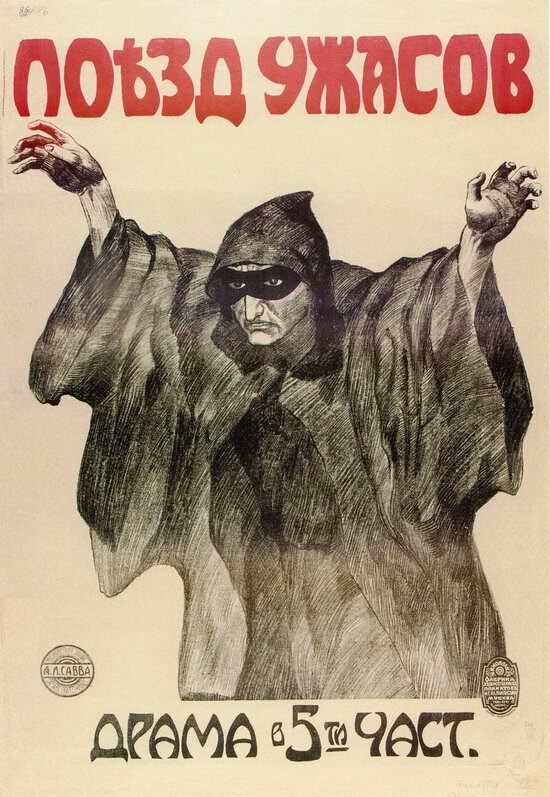 Let’s look at the movie posters of these times. Source: humus. 1. Train of Horrors (1910s). Atheism, as a worldview denying religion, without being formally declared in the USSR as an element of state ideology, was actively supported by the Communist Party and state bodies until 1988. Propaganda was actively used for these purposes. 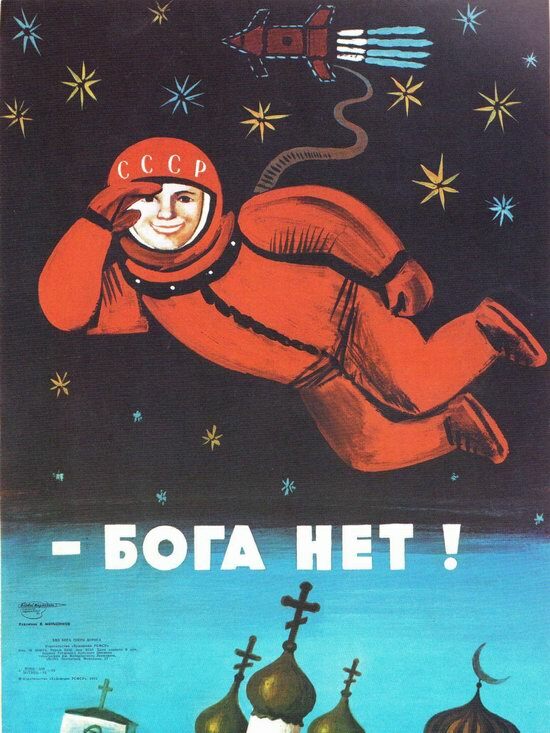 Here are examples of anti-religious posters that you could see in the times of the USSR. 1. There is no God! May 1 is a holiday in many countries around the world and is known as Labor and Spring Day in present Russia. In the USSR it was celebrated as International Workers Day. May 1, 1886, socialist, communist and anarchist organizations in the U.S. and Canada staged a series of rallies and demonstrations. May 4, 1886, six people were killed when the police broke up one of these demonstrations in Chicago. Soviet moviegoer in the 1920ies, during the NEP (the New Economic Policy), was able to watch a lot of not only Soviet, but also foreign films. As a rule, it was purely entertaining films, ideological films were not the biggest part of all the films, as it became later. There is a widespread belief that Stalin’s Soviet Union was a country almost completely closed to foreigners. 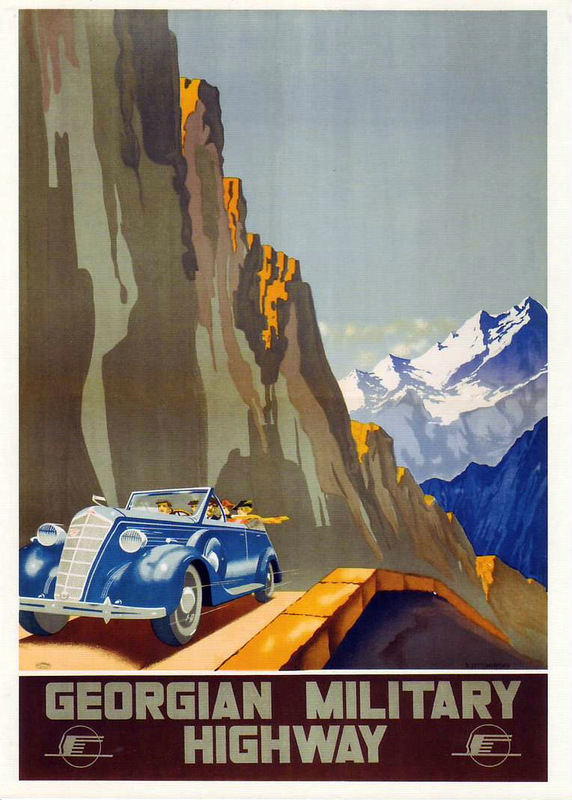 However, advertising of “Intourist” (organization responsible for foreign tourism in the USSR) created in 1930ies, gives somewhat different look at the issue. 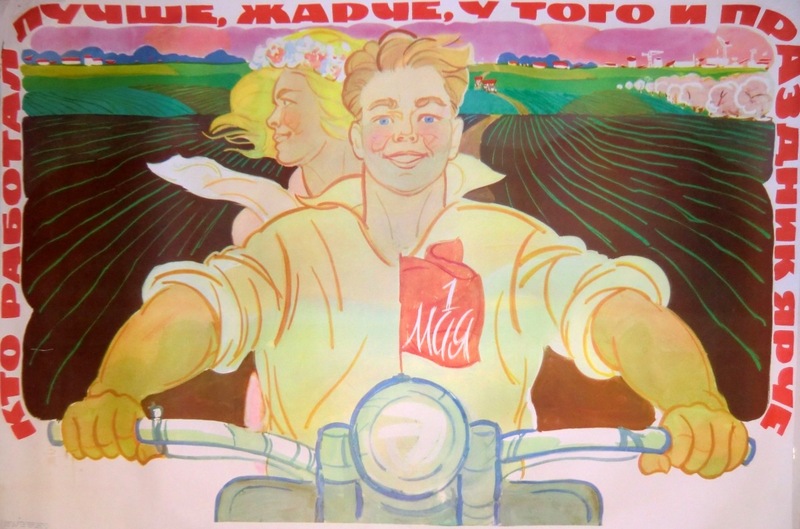 The country was in desperate need of foreign currency for industrialization, so all the ways to lure wealthy foreign tourists to the USSR were used. And it was not just about the major cities – Moscow and Leningrad. 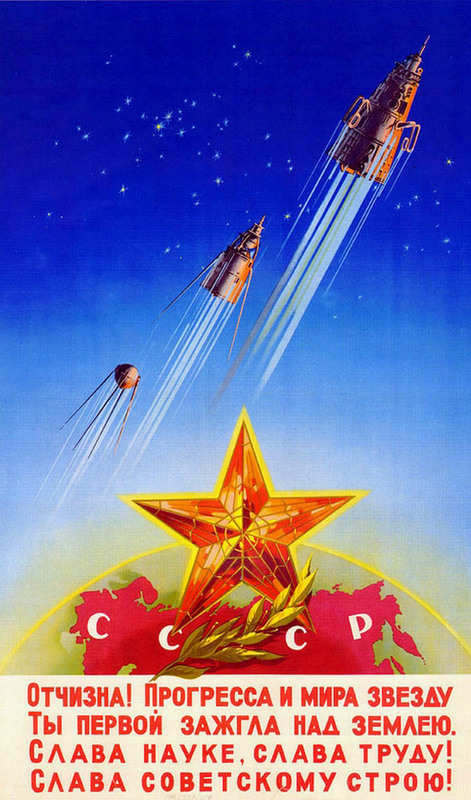 Soviet propaganda is propaganda of communist ideas and the Soviet way of life. It was carried out deliberately and centrally under the direction of the Communist Party and was officially called the ideological work, educating the masses, etc. The propaganda combined the universal values (freedom, social justice), and patriotism. Propaganda was conducted through the media, books, movies, theater, and visual art. Today it is the part of Soviet cultural heritage. Let’s take a look at how it all began during the Civil War and establishing of Soviet power in 1917-1923. Our first post about Soviet space propaganda received a lot of attention so we decided to make the second part. All the posters are available in high quality (clickable). Glory to the Fatherland of Heroes! 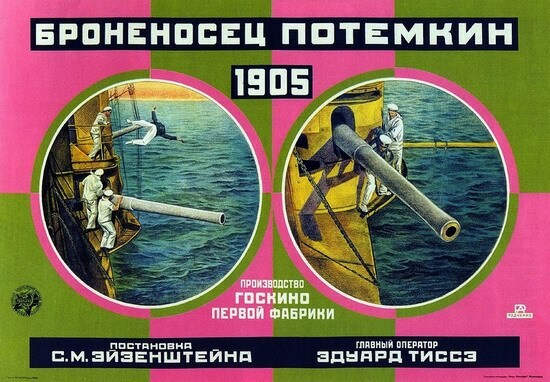 Several interesting posters of historical epoch. 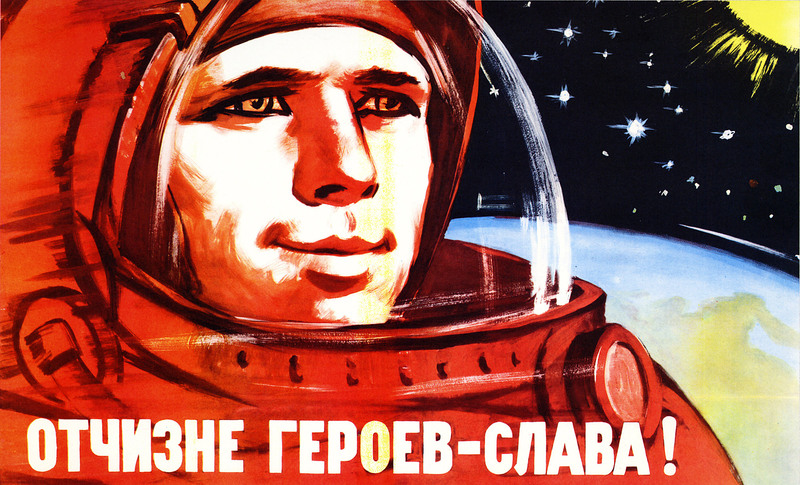 Second part of Soviet space propaganda posters. Fatherland! You lighted the star of progress and peace. Glory to the science, glory to the labor! Glory to the Soviet regime! 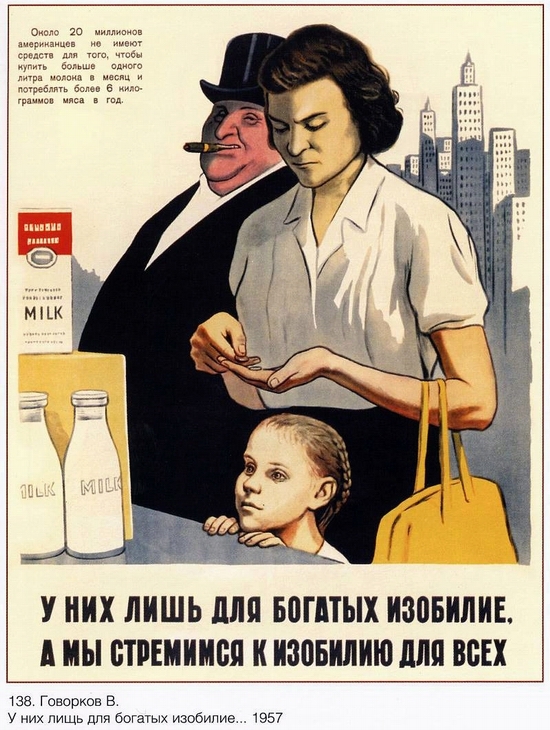 Here are several posters that “showed” Soviet people the difference between socialism and capitalism.